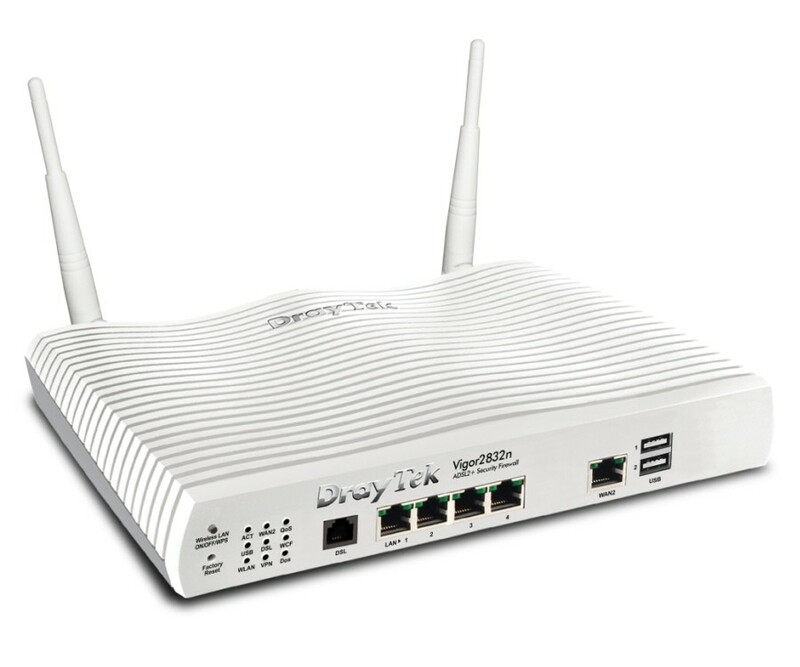 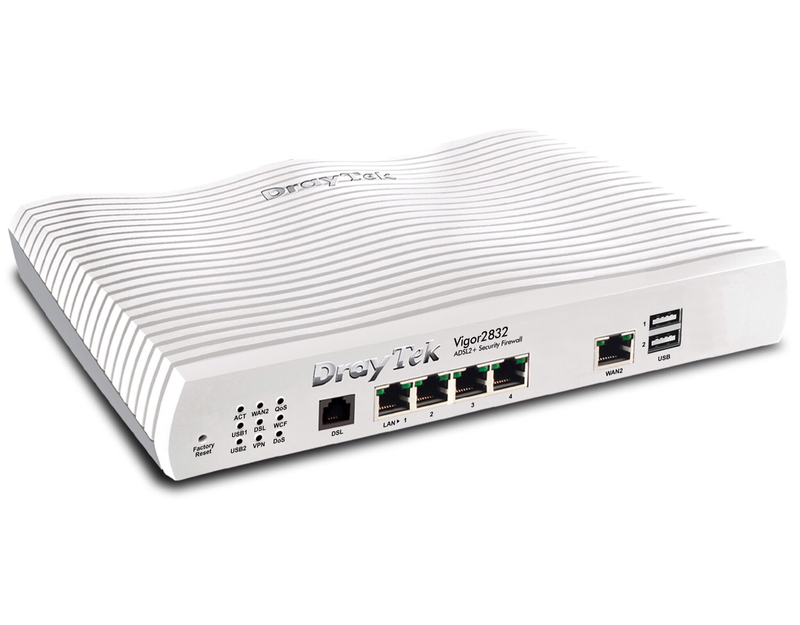 Vigor2832 ADSL2+ Dual-WAN Security Router series including Vigor2832, Vigor2832n embedded with 1-port ADSL2/2+ WAN, 1-port Giga Ethernet WAN and 2-port USB 2.0 for 3.5G and 4G USB modem provide flexible connection choices for current and next generation network infrastructure. 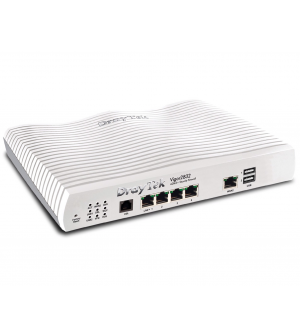 4-port Gigabit LAN facilitates unified communication applications in business CO / remote site to handle large data from subscribed fatter pipe. 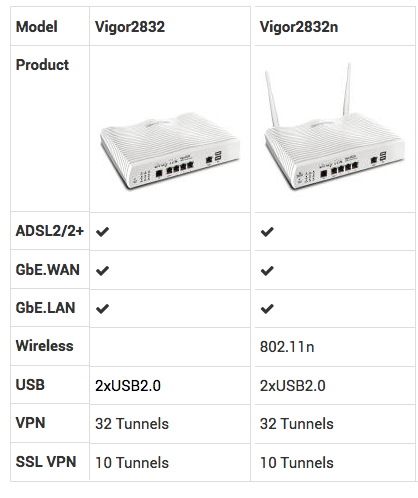 The state-of-art routing feature, VPN, security, Dual WAN provides integrated benefits for professional users and small offices.